In this week-long course we will be exploring the mythology surrounding the Goddess. In the Neolithic and early Bronze Age she ruled supreme. Later she was subsumed by the fierce Aryan gods and her ancient powers compromised. The Christians channelled her into the cult of the Virgin Mary. But in every pantheon she is a power to be reckoned with. The course will explore her many manifestations in the stories of Inanna & Dumuzid; Ishtar & Tammuz; Aphrodite, Hephaestos & Ares; Modron & Ceridwen; Rhiannon, Pwyll & Manawydan; Brigid & the Morrigan; Freya; Jehovah & Sophia and more. We will be visiting ancient sites and walking the beautiful landscapes of north Wales. Stout walking boots and a degree of fitness (the ability to walk several miles) are essential. Please contact Tŷ Newydd for more information. This is a storytelling course – participants will be working on stories that they will tell at the end of the week. Our guest speaker will be Jules Cashford. Eric Maddern set off aged 22 to travel round the world in two years. It took ten. The last four years were spent working in the Aboriginal communities of Central Australia – an experience which had a profound influence on him. It led to the creation of Cae Mabon, a unique eco-retreat centre in the foothills of Snowdonia. 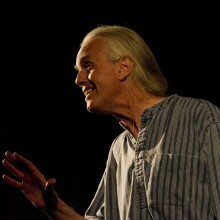 It also inspired him to become a storyteller with a special interest in unearthing the old stories of Britain. 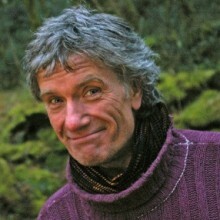 Since moving to north Wales in 1986 he has written a dozen children’s picture books, recorded a couple of CDs (Full of Life and Rare and Precious Earth) and in 2015 published Snowdonia Folktales (The History Press). Arising from this has come a new storytelling piece, Songlines of Snowdonia. He is currently working on a memoir.